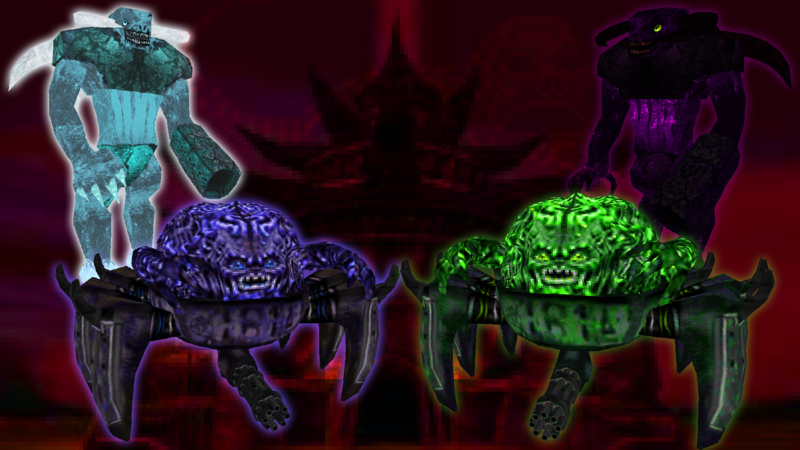 New Boss Subspecies Added: Dark Rahovart, Light Rahovart, Verdant Asmodeus and Azure Asmodeus, these simply have more health and summon subspecies minions also with more health making them just a bit tougher for more of a challenge as well as extra drops. Fixed player still glitching when picked up by mobs. Flipped Raiko wings when landed and lowered model y position to stop them floating off the ground when landed. Fixed a bug where Raiko would randomly jump (due to its new landing and flying AI) when ridden by a player. ============================================================ Lycanites Mobs Update: Ultimus - Version 1.17.0.7 for Minecraft 1.11.2 Configs older than 1.14.2.2 will be reset. ============================================================ -------------------- New Features: -------------------- New Boss Subspecies Added: Dark Rahovart, Light Rahovart, Verdant Asmodeus and Azure Asmodeus, these simply have more health and summon subspecies minions also with more health making them just a bit tougher for more of a challenge as well as extra drops. New Item Added: Diamond Soul Key New Item Added: Emerald Soul Key -------------------- Major Fixes: -------------------- Fixed player still glitching when picked up by mobs. -------------------- Minor Fixes: -------------------- Flipped Raiko wings when landed and lowered model y position to stop them floating off the ground when landed. Fixed a bug where Raiko would randomly jump (due to its new landing and flying AI) when ridden by a player.